‘THE JUST WAR’ part two! It’s true, Ares has been reborn on Earth-but has he changed for the better? 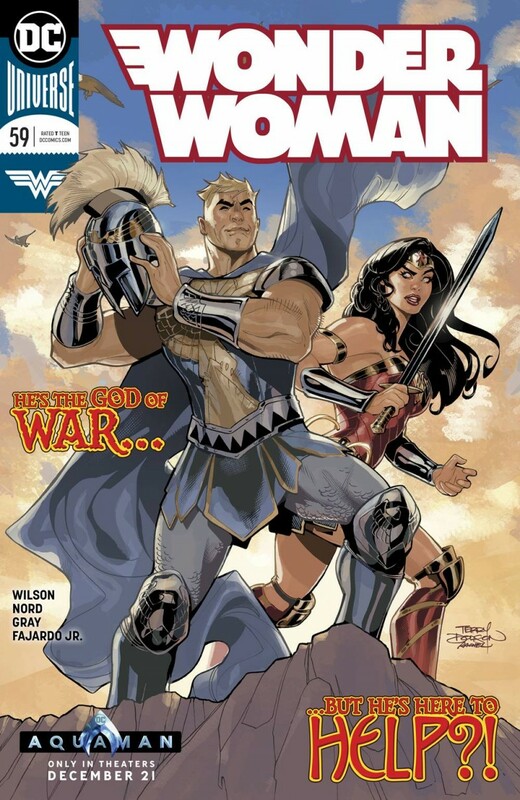 Of all the role models in the world, he seems to have chosen…Wonder Woman?! Diana and Steve Trevor better watch their backs, because Ares isn’t the only creature of myth to find his way to Man’s World…and he’s not the only resurrected Olympian either!